is a modern reference book which presents the grammatical system of this unique North Germanic language in a compact and consistent form, so that readers should be able to find the information they need quickly. The grammar is intended to be concise but as complete as is practical. 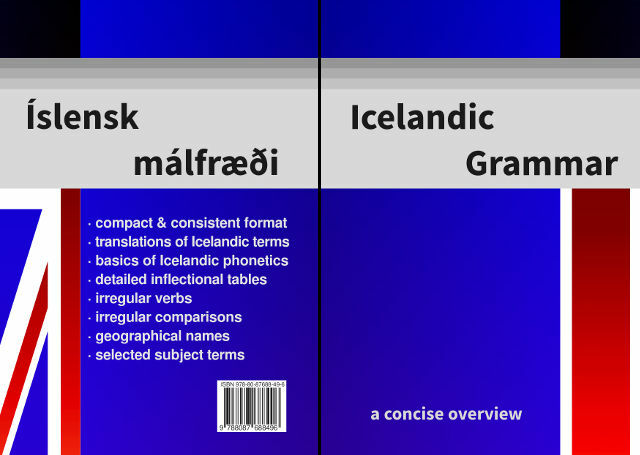 The book covers most topics and phenomena a reader will encounter in general use of Icelandic, such as the basics of Icelandic phonology, sound alternations, and individual parts of speech, including declensions, conjugations and comparisons. The text is accompanied by usage examples with translations, as well as notes on many irregularities. The appendices contain a tabulated overview of irregular or non-trivial verb conjugations followed by lists of over 2,000 selected geographical and other terms organized by subject area. 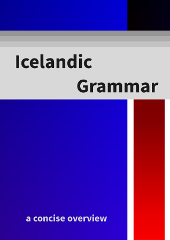 Finally, the glossary of grammatical terms makes it possible to look up the Icelandic equivalents of the English terminology used throughout the book. On the right, you can order the publication and later, after delivery, pay for it. Pay only after your order was delivered to you. After receiving your order use the "Pay" button above to pay with your payment card.